Less than two months after we started, Didarchtik already had its first ‘real’ workshop. 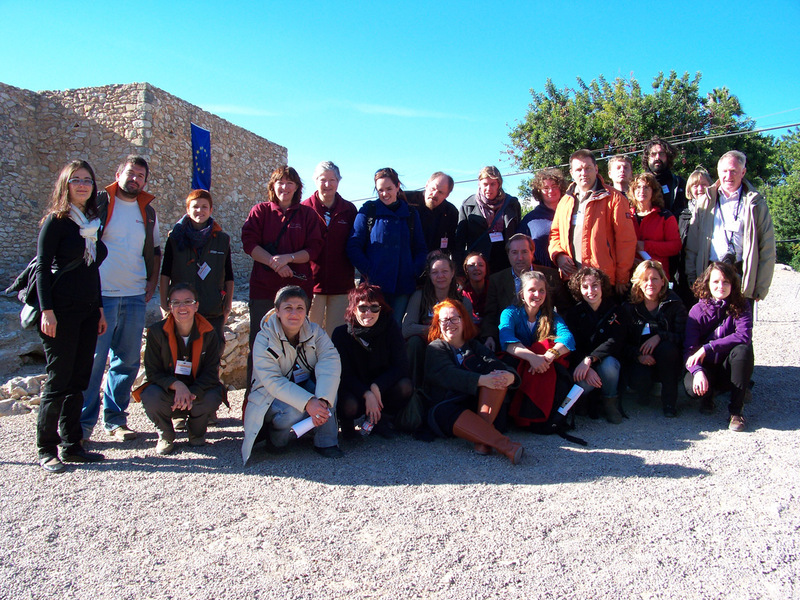 It was well prepared by the local staff of the Ciutadella Iberica de Calafell – we had two intense days, with 23 people from six countries. Following an introduction at the Museu Casa Barral by the National Agency in Catalonia on European perspective of Adult Learning + Grundtvig programme we visited the archaeological open-air museum Ciutadella Ibèrica de Calafell where we were welcomed by Mr. Jordi Sánchez Solsona, mayor and Maria Teresa Cumplido Mancebo, councillor of Culture and Education. Then we got some examples of a program for adults called “service learning”, as applied to cultural heritage, given by professor Esther Luna from the Universitat de Barcelona. Most of the time, we spent on a presentation of the activities and strategies of adult learning in the partner museums. Next day, we discussed a theoretical framework of Teaching and Learning followed by explanation on how to do visitor’s surveys. A whole lot of work in just two days! Now we have to start using it. EXARC has been sending monthly Newsletters to its members since 2012. As of February 2018 (EXARC Newsletter, Number 2018/03) we send our Newsletters through MailChimp. To view our Newsletters click here. Note: It is not possible to join out mailing list if you are not a member. © by: EXARC since 2001.